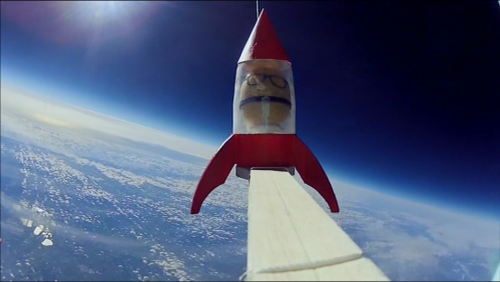 I have a new high altitude balloon project, this one is very Eggciting. In June my club South Kesteven Amateur Radio Society (SKARS) will be operating a special event station at the Swaton Vintage Day held at Thorpe Latimer in Lincolnshire. Egg Throwing is recognised by the English Sports Council and the sport is taken very seriously by some competitors. Hundreds of competitors from Europe and around the world are expected to compete this year. Last year’s event attracted teams from Germany, Slovenia, Hong Kong and Brazil. While planning the special event station I jokingly suggested throwing an egg in to space on board a balloon, I shouldn’t have yoked as it is now a serious project. The idea coming from Dave Akerman’s Spudnik flight for Heston Blumenthal’s Channel4 television program. Subject to Civil Aviation Authority clearance and weather conditions I will hopefully launch a high altitude balloon carrying one lucky egg into the edge of space and then dropping it back to earth under a parachute. In addition to the plucky Eggstronaut the balloon I have called Eggsplorer-1 will carry a radio transmitter to broadcast its position, altitude and live images of the journey back to earth. I have already begun development of the payload, unlike the moth-balled NERD-1 payload this one will use one of the Raspberry Pi boards since I want to transmit SSDV images live and it supports its own specially designed camera modules. NERD-1 will still fly as a backup tracker. Dave Akerman (M0RPI) and Anthony Stirk (M0UPU) have developed the Pi-In-The-Sky ready made boards and the design and software are open-sourced, using this as a starting point together with Phil Heron’s (MI0VIM) SSDV software I quickly had a prototype dubbed NERDPI running. 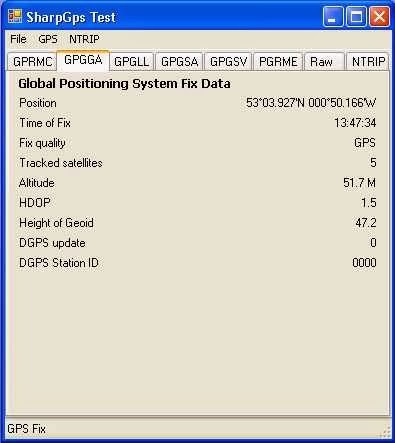 I did have an issue since the GPS module I currently have only outputs serial data so had to use one of those small TTL USB-Serial adapters and spun some of my own code to get the data out and was soon successfully decoding my own transmissions from the shack and uploading them to the Habhub system. 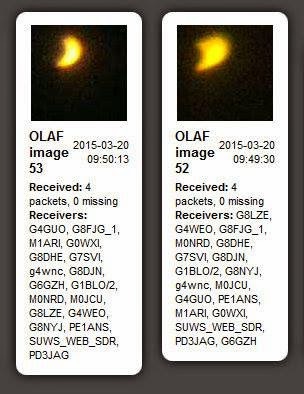 Today has seen the spectacular partial solar eclipse here in the UK, during the eclipse several HAB flights were launched to try to capture images above any cloud cover (details here) Fellow SKARS members and members from the Grantham ARC were keen to decode the SSDV images themselves as the BBC Stargazing Live balloons were flying from nearby Leicester. So on Wednesday I did a talk and demonstration to show how to track and decode the images, it was well received and I uploaded pictures of the audience to the system. Unfortunately technical issues prevented live images from the Stargazing HABs being transmitted but I was able to decode some images from the University of Southampton OLAF payload They were only lo-res but still pleased to get decodes here it was a good distance from me. 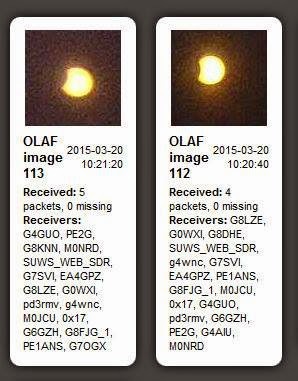 Here in Newark the sky was beautifully clear so the eclipse was visible and spectacular, where OLAF was flying was covered in cloud, so the mission was a success. 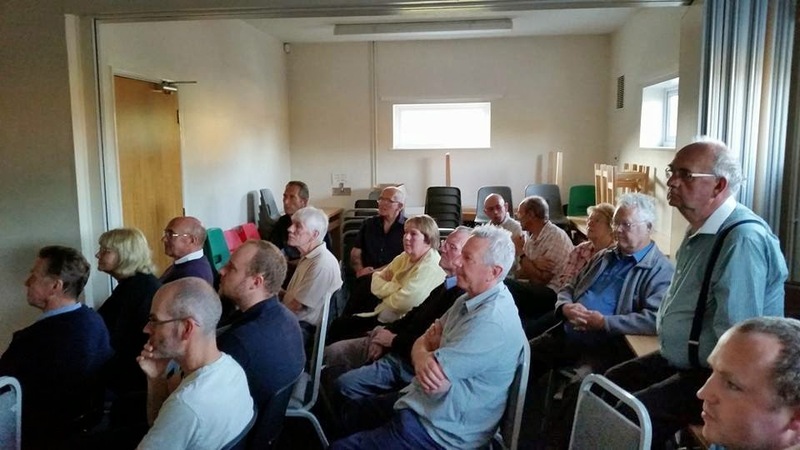 Yesterday I gave my talk and demonstration at the Grantham Amateur Radio Club on High Altitude Ballooning and tracking. 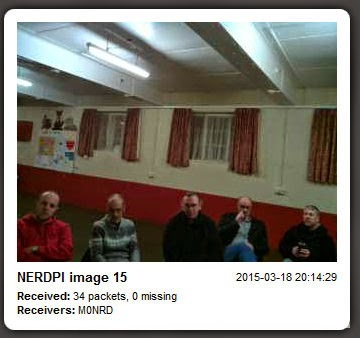 It was very well attended with a large number of GARC members turning out. It was a case of everyone going in at the same time once the venues key holder turned up and I initially got a little stressed as I hurriedly tried to get everything set up while everyone sat patiently waiting. The first issue I had was the projector seemed to be limited to just 800×600 pixels, which was fine for the PowerPoint presentation but for demonstrating reception using a RTL-SDR with SDRSharp and decoding using DL-FLDIGI and the UKHAS Habitat tracking system spacenear.us/tracker the lack of screen space was a problem, DL-FLDIGI couldn’t be shrunk down to fit, so there was a lot of scrolling about! The second issue was the venues wi-fi connection, my laptop stubbornly refused to connect to it (I wished I’d taken a ThinkPad laptop I have instead of the one I did as it has a better wi-fi adapter) so was forced to use my mobile phone as a tethered hotspot – while it worked the connection was painfully slow. Despite these issues I was able to give the presentation about the HAB community and the technology. It contains a lot of information to digest but there is some light relief with its videos of Felix Baumgartner, Dave Akerman’s Babbage Teddy Bear free fall and wacky chef Heston Blumenthal’s ‘Spud-in-space’ feature from his recent television program. 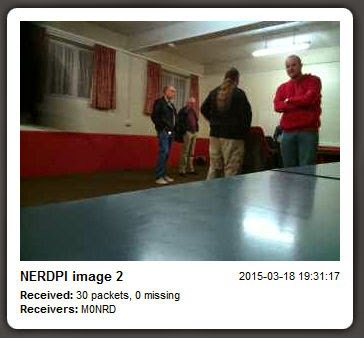 I demonstrated Project Hab‘s VAYU-NTX tracker and thanks again to Steve Smith (G0TDJ) for its loan. The poor internet connection cause issues with spacenear.us/tracker but was able to use Phil Crump’s (M0DNY) version at at habmap.philcrump.co.uk to demonstrate the real time map tracking. 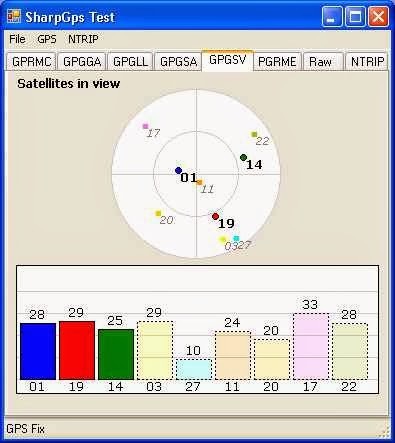 Checking the spacenear.us map this morning and the receiver station at the club house and the demo flight could still be seen – it was programmed to take off from a nearby high point! 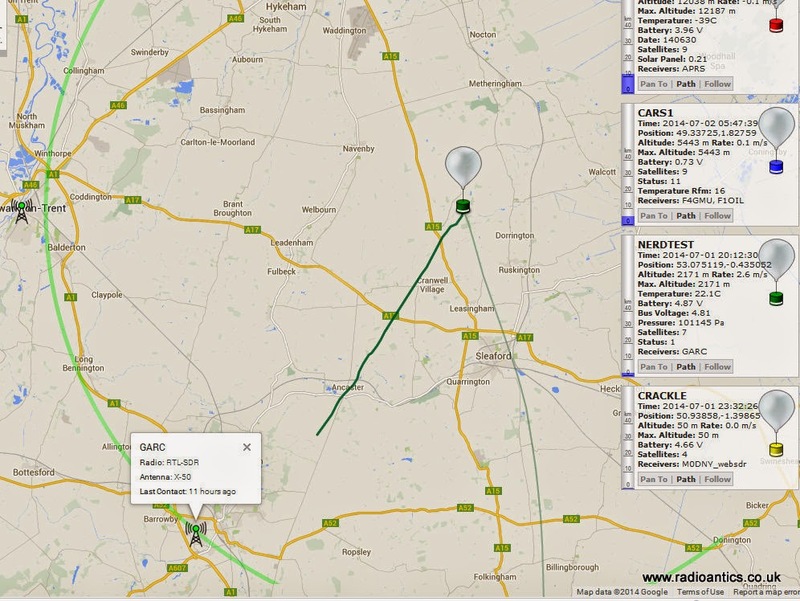 By lucky coincidence Chris Stubbs (M6EDF) had launched a balloon CARS-1 from the Chelmsford Amateur Radio Society meeting at Oaklands Museum where he was giving a talk and demonstration at the same time as my talk, so I was able to show how multiple receiver stations were tracking a real flight. Now I just to sort out doing a proper flight! Christmas is thankfully behind us so I can get back to what I enjoy doing once I have reorganised my workshop. As you know I am currently developing a potential High Altitude Balloon (HAB) project and have been experimenting with the Arduino microprocessor platform and have constructed a basic prototype. 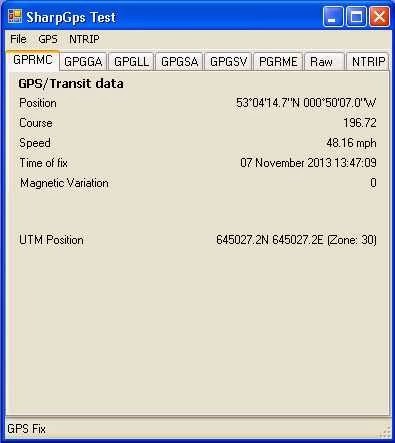 With the arrival of the GPS module(s) I have had it successfully working and even took it out for a test walk in the local area, receiving the data and uploading it to the UKHAS habitat system. This project has revitalised my interest in ‘hobby electronics’ and I have ideas for a number of other Arduino based projects and have been splashing out on components from eBay. Just before Christmas I purchased an Arduino Mega board, this has more I/O pins than the current Uno and specifically some extra hardware serial ports. Do any internet search for Arduino based amateur radio projects and it will results in numerous mentions of projects using ultra cheap DDS modules based on the Analog Devices AD9850/AD9851 chipsets. DDS means Direct digital synthesiser and is a type of frequency generation which can be used for creating arbitrary waveforms from a single, fixed-frequency reference clock. Read the Wikipedia page for more details. In a nutshell the AD9850 is a chip that under microprocessor control can produce a sinusoidal wave from about 1hz to 40mhz. In other words it is an accurate microprocessor controlled VFO (Variable Frequency Oscillator) or signal generator. VFOs are the main building blocks of radio receivers and transmitters, so not surprisingly a lot of projects have utilised these modules, rather than the traditional means. Intrigued I ordered a couple of these modules for the pricey sum of £3.50 each! Using information on George Smart’s (M1GEO) website and Simon Kennedy’s (G0FCU) blog I quickly had a simple WSPR beacon running! 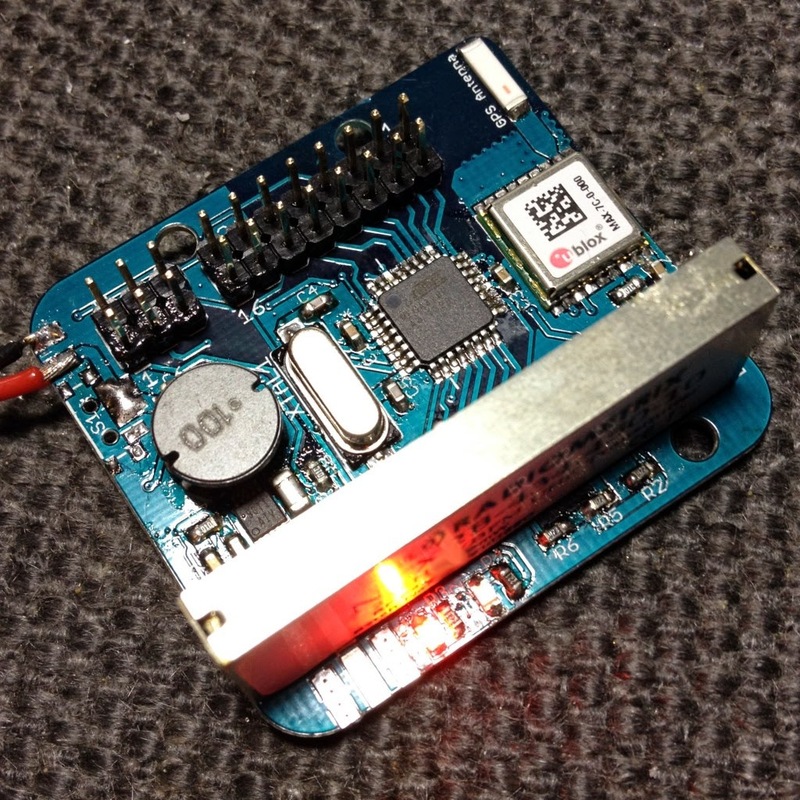 The Arduino uses the GPS module borrowed from NERD-1 for accurate time and then controls the output of the AD9850 DDS to generate the WSPR signal. Before anyone panics I know at the moment I only hold a Foundation Amateur Licence so the construction of homebrew transmitters isn’t allowed. This ‘beacon’ has no power amplifier and the antenna consisted of an inch or so of wire on the DDS output. 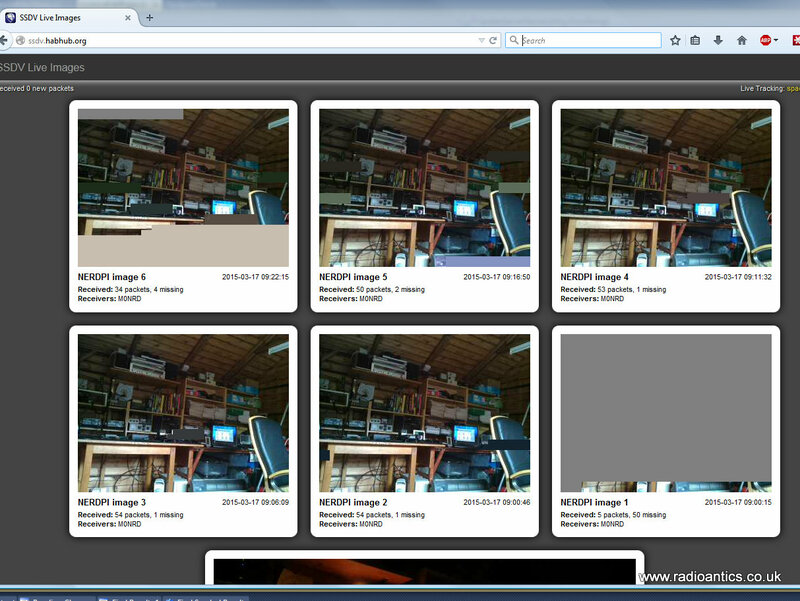 I was able to verify the operation using my SDR receiver in the same room. 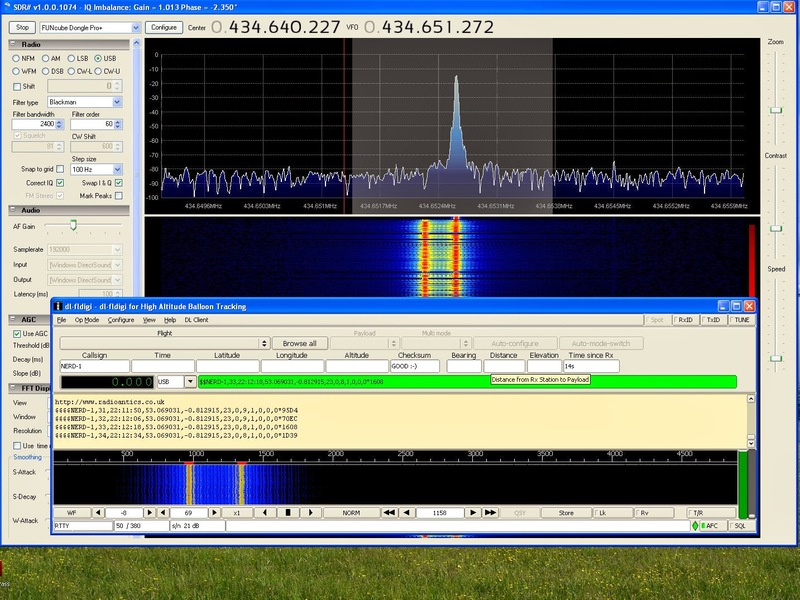 Construction of commercial kits is allowed under my licence so I have ordered a Ultimate3 QRSS kit from Hans Summers for the pricely sum of £17.50! This uses the same DDS module and same microcontroller as the Arduino. 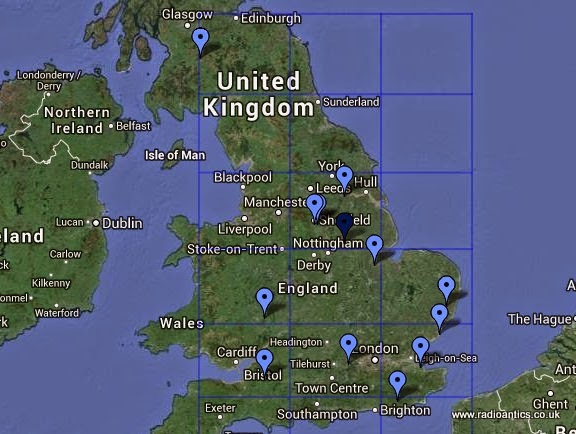 In the meantime there is also more information and ideas on Eugenr Marcus’ (W3PM) webpage about the use of these DDS modules, including making frequency reference sources and calibration using the GPS module. The NERD-1 HAB development prototype has been coming on in leaps and bounds. The first stage was to take the breadboard transmitter layout and construct a veroboard ‘shield’ the transmitter module plugs into some sockets and the addition of an enable control allows me to turn it off and on. 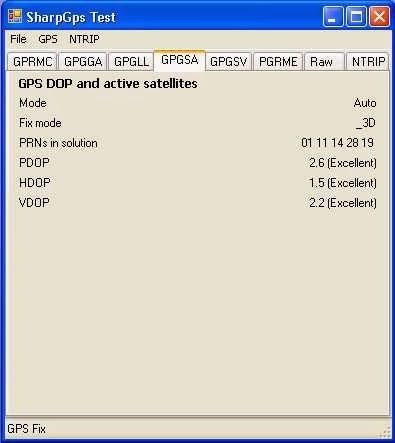 What cannot be seen on the photo below is a dual-colour LED to indicate the fix status of the GPS. I am still waiting for delivery of the uBlox GPS module/breakout board which is on a slow boat from China, but in the meantime I have purchased a number of other breakout boards (pictured below) to evaluate potential additions and to generally experiment. These include a SD Card module, which will be used to log flight telemetry via the SPI interface. The board on the right is a Real Time Clock (RTC) including a button cell and some EEPROM memory accessed and controlled via the I2C/Wire interface. This really isn’t needed but was literally a couple of £s. The smaller board at the bottom is the really interesting one! It is a GY-80 IMU clone, containing a three-axis gyroscope, three-axis accelerometer, three-axis magnetic sensor and a temperature and pressure sensor, again all accessed simply via the I2C interface. Popular in aeronautical RC and personal UAV projects such as Quadcopters it seemed worthy of some experimentation. All the devices were purchased from Etang Electronics on eBay and was impressed as it all arrived the day after ordering. It looks nice and is ‘cool’ however the backlight LEDs do draw an awful lot of current so have been disconnected since the picture was taken. At the moment the whole thing is a little messy, but is functional and sits in it’s own foam lined box! The software development has been pretty straightforward, I am no stranger to the use of I2C and SPI in my day job and there are plenty of software libraries and guides available. Once I have perfected the software and settled on the final design then I am planning on constructing a veroboard flight prototype with all the unnecessary parts removed. I have also yet to investigate another transmitter unit I have purchased.